EurOCEAN 2010 (12-13 October 2010, Ostend, Belgium) provided a timely opportunity for the European marine science and technology community to consider, discuss and respond to new policy developments and achievements since the previous EurOCEAN 2007 in Aberdeen. 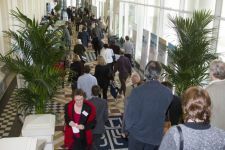 It also allowed highlighting new challenges and opportunities for marine research in the next decade. 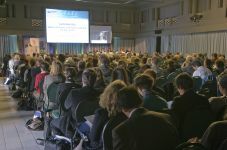 The conference itself, and Ostend Declaration (October 2010), adopted by over 400 participants, enabled the European marine and maritime science communities to express that the European seas and oceans present a grand societal challenges and communicate a clear vision on future scientific priorities and how they should be addressed in Europe in the coming decade. 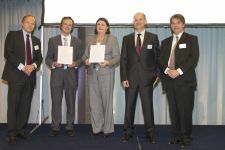 The conference and the Ostend Declaration reinforced the importance of marine science in effective maritime policy making, and how it can benefit Europe's societal and economic development. 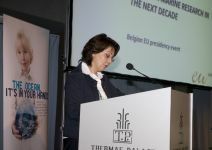 EurOCEAN 2010 was organised by the 2010 Belgian Presidency of the Council of the European Union, in collaboration with the European Commission and the European Marine Board.